When husbern and I decided to call off our June Vacation Tradition because of a master grand plan which we decided upon (and eventually cancelled cos we didn’t see the importance of it all), I knew I had to arrange for a family vacation, just the 3 of us to continue a tradition we started since we were married. I took the anniversary as a chance to spring a surprise on the husbern. Now that the grand plan has been rooted in my head, next question was – vacation or staycation? With only a week left to the anniversary, staycation it was. Where? 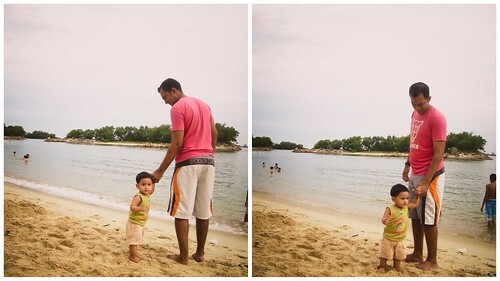 Since it’s gonna be Umar Khalif’s first staycation with us, I decided to make it walk down memory lane for husbern and I. It was either Siloso Beach Resort or The Fullerton because up till today we still reminiscence over these two stay cations. While the SBR was due to its private jacuzzi that is linked to a private stairway in the room, The Fullerton was simply luxurious just by being in the room itself. I ended opting for SBR sans the jacuzzi (not as if we can rendam ourselves in the jacuzzi with him around. :P) because knowing Umar Khalif, he can’t be cooped up in a room for more than 15 minutes. SBR offers a walk away from the beach and I simply love the scenery alongside the path from the reception leading to the rooms. 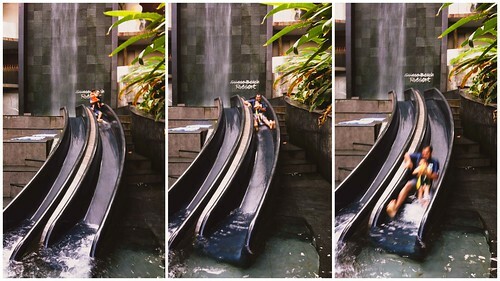 The swimming pool was smacked in the middle of luscious greens with a man-made waterfall. Perfect for him and both of us to relax, chill and waste the day away. Serene isn’t it? 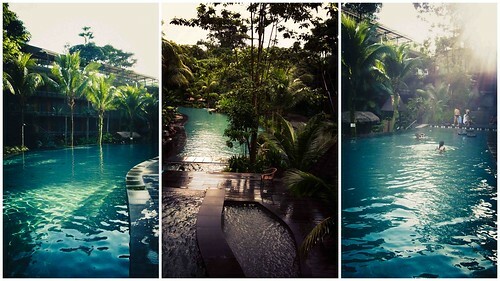 I totally dig the “other world” that this resort has to offer. It’s not a typical hotel lobby with urban setting. It feels slightly rural with a touch of peace. There were peacocks, squirrels and other animals that put an instant smile on Umar Khalif. That… makes me happy! 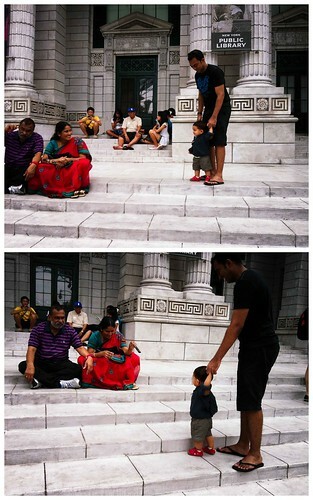 The moment we checked in, we spent no time lazing around because we need to dispose this little boy’s energy to good use. We decided to hit the beach immediately after which followed with a swim at their pool. 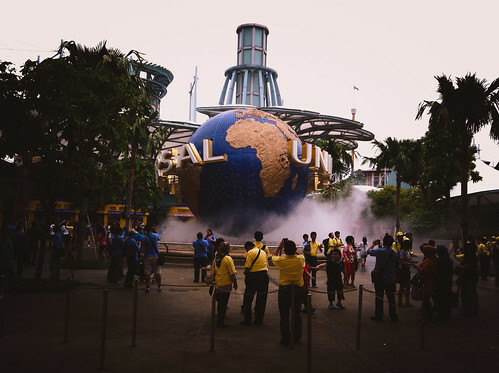 It was no wonder that when I told my husbern I am going to plan the itinerary for our staycation, he repeatedly told me to ensure that none of my items doesn’t involve any pre-payment because lo and behold, he bought fix to Universal Studios Singapore. It was his second surprise for me. I thought the blue box was it. 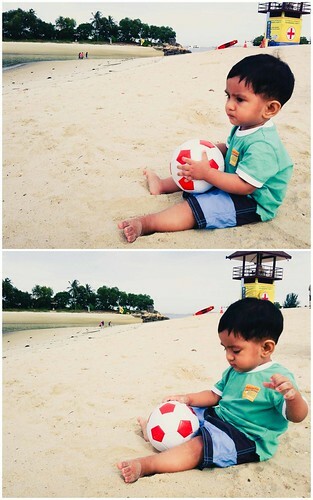 Umar Khalif, the friendly boy. We also managed to catch the Dolphin Show and visited Underwater World. 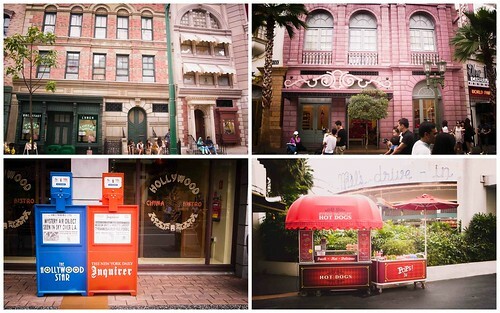 Indeed, time past by very fast when you are having too much fun. It was definitely a memory to remember alright. Last day came and we visited the beach again for the last time.